Sometimes it is hard to convey this process. Brief stories, photos or statistics don’t always demonstrate both the difficulties and the victories of people working day in and out in impoverished situations. And so for all of 2018 we are going to publish a series of blogs called "Leading Change." We will focus on ONE CHURCH in ONE COMMUNITY. We hope that a deeper, more sustained, look at how change happens will help to paint a fuller picture of the process. What Makes a Church a "Leader"? 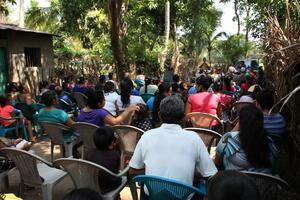 As we accompany churches, we help them achieve certain milestones as they become active agents in their communities. This includes leadership training, biblical reflection, running sustainable development projects and community collaboration. The result is a “Leader Church” that can continue its own work independent of us and encourages/trains other churches in the same process. 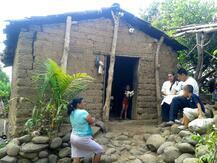 The Aposento Alto Church is located in the small village of El Cocalito in the department of Ahuachapan, El Salvador. This coastal community is located in a region that is well known for its beauty and history. Even so, the poverty experienced by over half of the population is extreme. It is within this setting that the church has begun to live out its mission beyond its four walls. It is on track to become a Leader Church by the end of this year. Would you consider giving a special anniversary gift to help build other leader churches? When pastor Jose Israel Pineda and his wife, Yuleima, first came to the Aposento Alto as pastors, it was comprised of 61 members who were very withdrawn from their neighbors. Due to a long history of marginalization and a theology of retreat, many protestant churches in El Salvador are similar and do not engage with others in their communities. However, Jose and Yuleima had a different vision. After talking with other pastors who had been working with ENLACE, Pastor Jose Israel and the Aposento Alto Church began a partnership in 2013. Between 2013-2017 this humble congregation became a powerhouse of transformation. During these years, the church increased its capacity to serve its community by 300% and grew in both members and leaders by 40%. 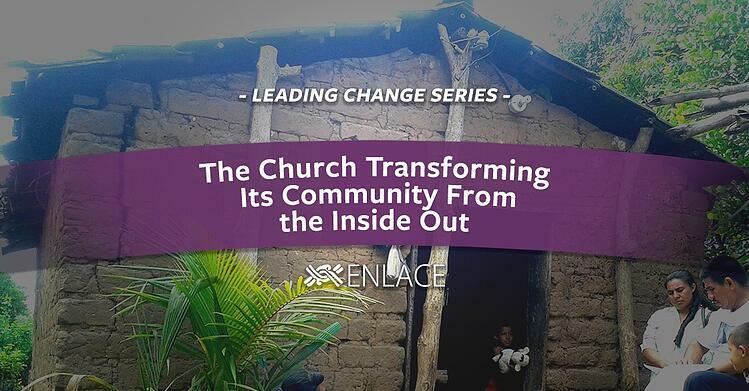 After listening to their neighbors and taking surveys and talking with organizations already working in their community, the church started to break out of its shell. They began with one small road project that directly benefitted 375 people. Over the next four years, the church expanded its work to include composting latrines, new homes, a water system, new classrooms in the local public school and improving access to electricity. Every year, the projects became more technical and required strong leadership and collaboration between each other and the community. 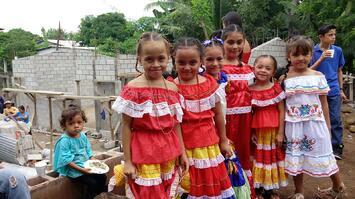 The church developed new relationships with Cocalito’s Water Board, Health Unit, public school and mayor’s office along with the Community Associations of Cocalito and nearby hamlet of La Joya. Together with its community, the church is currently serving 1557 people directly through these projects. And this is just the beginning. Find out what they hope to do this year and more of the leaders' incredible stories! Don’t miss the next installment - Subscribe to our Blog Updates today!